Gold bullion coins are an increasingly popular option for those who want to diversify their investments, especially with so much uncertainty surrounding the global economy. However, there are actually several great reasons to invest in gold coins beyond just the obvious benefits of diversification. By taking the right steps, you can maximize many different advantages of buying precious metals. It all depends on what your goals are and which strategies you use to reach those goals. Below, you’ll find some helpful tips on ways to harness the full potential of gold investments. This may be obvious to experienced investors, but buying gold bullion coins is not the same as a simple coin-collecting hobby. Instead, it’s a focused investment strategy that can deliver great rewards, both short-term and long-term. Rather than purchasing a single coin here and there, reap the greatest benefits possible by incorporating gold buying into your ongoing investment planning. Protect your savings from stock market volatility. When stocks plummeted during the recession, many soon-to-be-retirees lost huge portions of their portfolios and were forced to delay their retirement plans. Whether you are nearing retirement yourself, or simply looking for ways to safeguard your money from the volatility of the stock market, gold coins offer an excellent alternative. As an investor, you want to “live tomorrow as you do today.” That means being able to enjoy your current lifestyle in retirement – without having to worry about finances. Well, as the dollar continues to decline, and inflation risks rise, this preservation of wealth doesn’t seem so easy. But by investing in gold bullion coins, you can safeguard your purchasing power, protect your worth and your lifestyle. Add more growth potential to your liquid assets. If the bulk of your money is sitting in savings accounts or CDs, then it’s probably not working for you as much as it could be. Consider converting those liquid assets to coin bullion, and you could see bigger gains as the value of gold increases. If you’re serious about investing in gold and you want to maximize all the potential benefits, then you may want to consider placing gold coins in an IRA. Gold IRAs let you enjoy all the tax benefits of a retirement account – without the anxiety. American Eagle proof gold coins, for example, were designed specifically with retirement accounts in mind. A limited number are made every year, which results in a scarcity that increases their growth potential beyond that of common gold bullion coins. 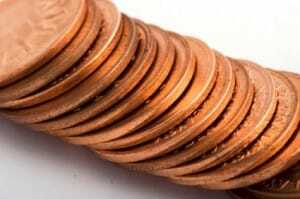 Remember: your coins are worth nothing if you lose them. 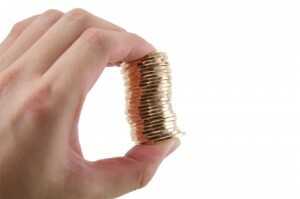 If you decide to buy gold coins for physical delivery, make sure you keep them secured. Consider storing your gold safely in an insured, non-segregated depository. Rated A+ by the Better Business Bureau, Birch Gold Group is the precious metals company of choice for people who appreciate the personal touch and believe that integrity is still important. In addition to gold bullion, we offer a wide variety of investment options, including numismatic coins, precious metals IRAs, silver, platinum and palladium. Regardless of your unique goals, we are dedicated to helping you gain the greatest possible benefits of purchasing gold. Speak to one of our specialists today by calling (800)355-2116 or fill out the form on this page for more information on gold bullion coins.